She's alive today because of them. This is Hex, a little puppy who has some very heroic friends. Last October, when Hex was just a couple of months old, she nearly lost her life in a house fire. 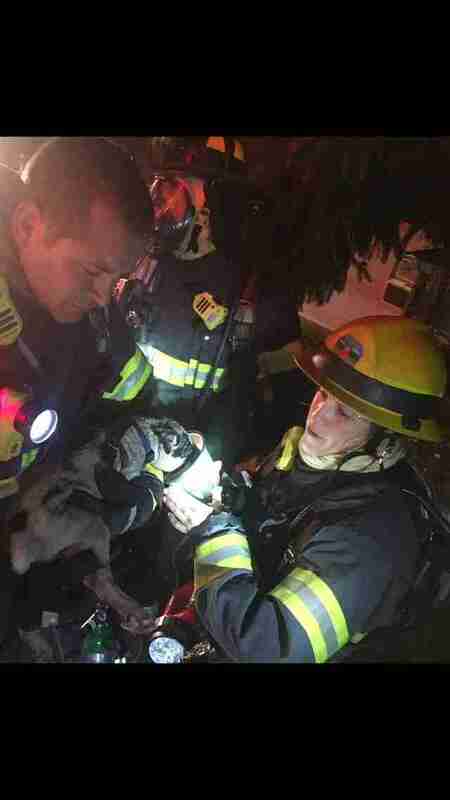 When first responders from the Asheville Fire Department in North Carolina, learned that there was a puppy trapped inside, they rushed in to save her. 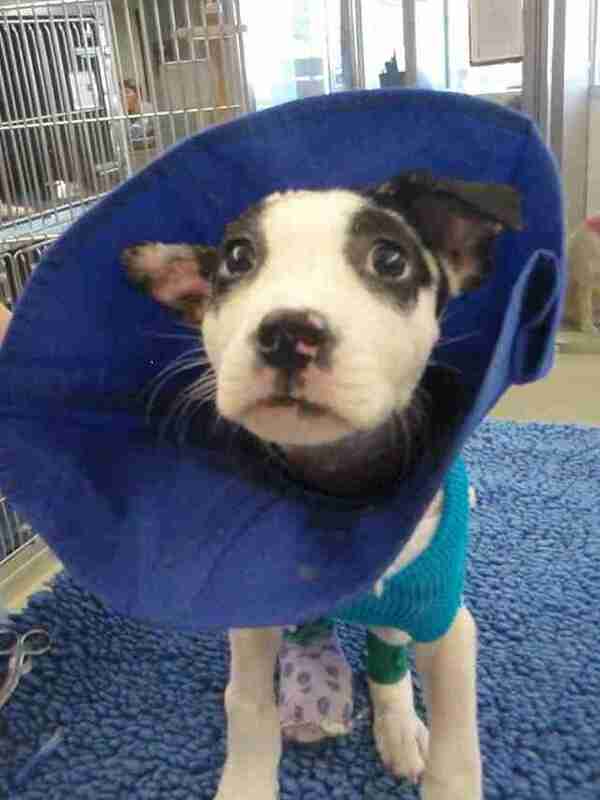 Hex was unresponsive at first, but her rescuers refused to give up on her. They gave her oxygen to coax her back from the brink of death. Lucky to be alive, Hex then spent the next few months being treated for the severe burns she suffered during the fire. Though she was young, it was clear to staff at the Asheville Humane Society, and the Animal Hospital of North Asheville (AHNA) where Hex was treated, that this puppy is a fighter. 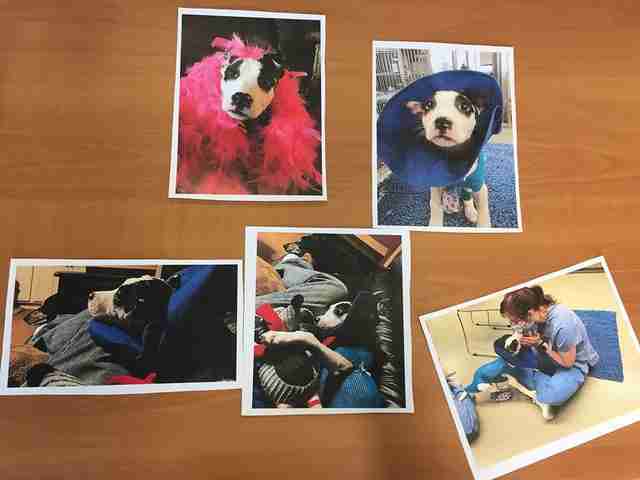 In time, Hex was able to recover from her injuries - winning the hearts of her caretakers in the process. Through it all, no one could forget about the brave rescuers who made it all possible. 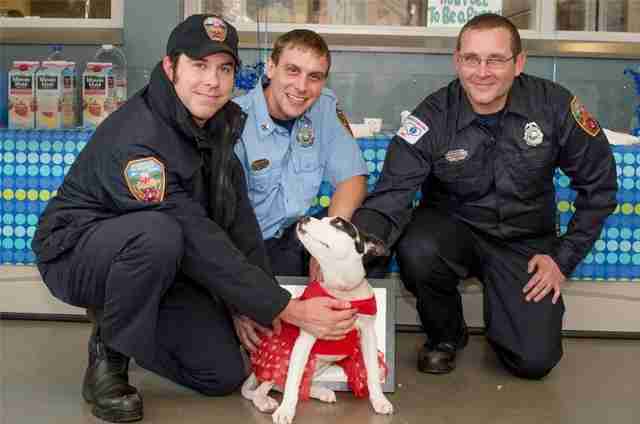 This week, Hex was treated to a surprise visit from the firefighters who saved her life. In a ceremony to honor their heroism, and celebrate the puppy's recovery, they were finally reunited for the first time since she was rescued. Here's video of that touching moment. Though Hex couldn't put it into words herself, the message that day was clear. 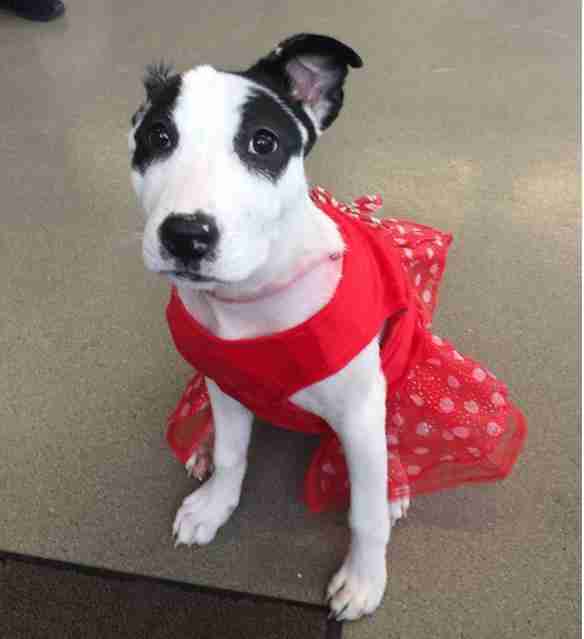 "Hex will be going to her forever home as Asheville Humane Society has adopted her out to a wonderful family where she will have an absolutely great life," wrote AHNA online. 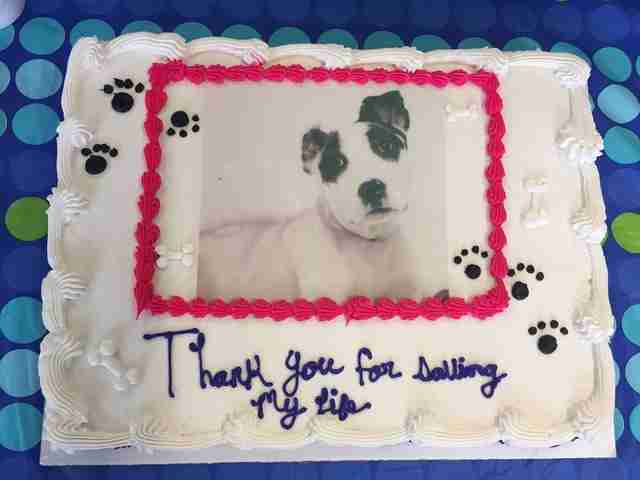 "Her physical scars will always be a part of her, but otherwise she is a healthy, happy puppy with many, many people who will always love her."